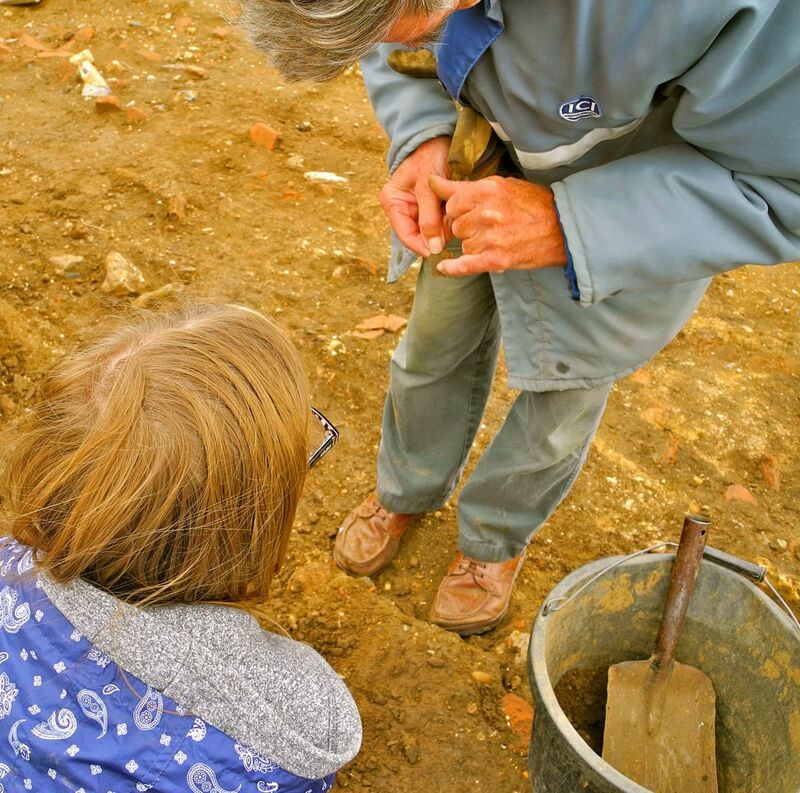 On Saturday (16th September), the Colchester Young Archaeologists’ Club (YAC) met up for their annual archaeological excavation session. 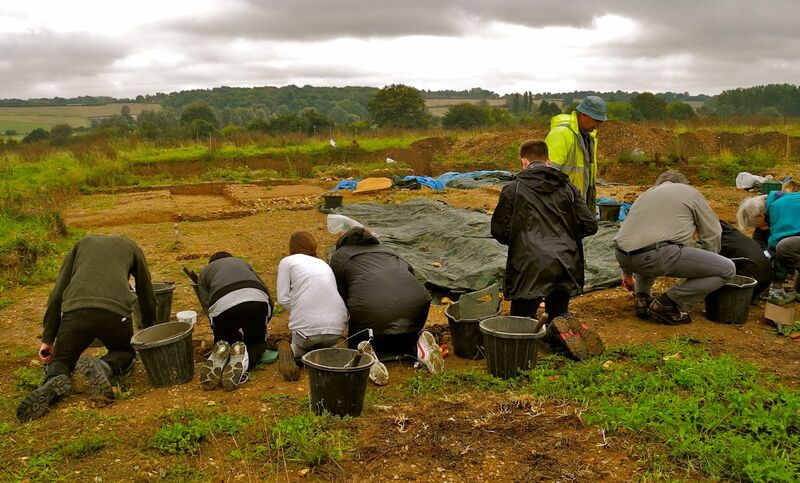 Colchester YAC organiser Barbara Butler writes: ‘… Members of the Colchester YAC enjoyed a morning with members of the Colchester Archaeological Group (CAG) on the site of a Roman villa on privately-owned farmland at Fordham near Colchester, which the CAG is currently excavating. 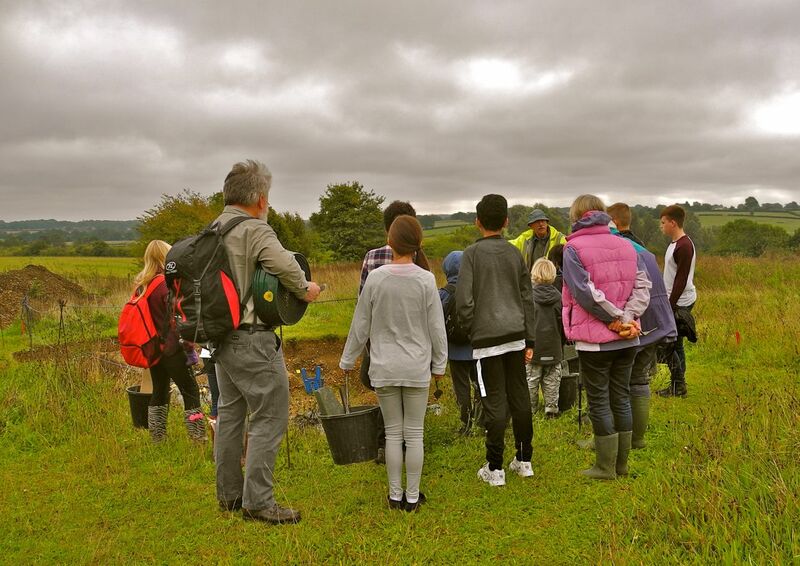 When the YAC team of excavators, parents and volunteer leaders arrived, they were given an explanation of the site by Frank Lockwood of the CAG, who showed us geophysical survey and magnetometer survey images of the site. Equipped with their own trowels, and with kneelers, shovels, buckets and wheel-barrows supplied by the CAG, the Colchester YAC team soon got to work. They uncovered fragments of pottery, animal bone, and Roman brick, tile and mortar. Some YAC members were excavating for the first time and they learned how to excavate and also how to sieve the spoil before taking it to the spoilheap. John Mallinson of the CAG was on hand to help the young people identify their finds, and Geoff Baister of the CAG explained metal-detecting to us, before the young people tried it themselves on the spoilheap. 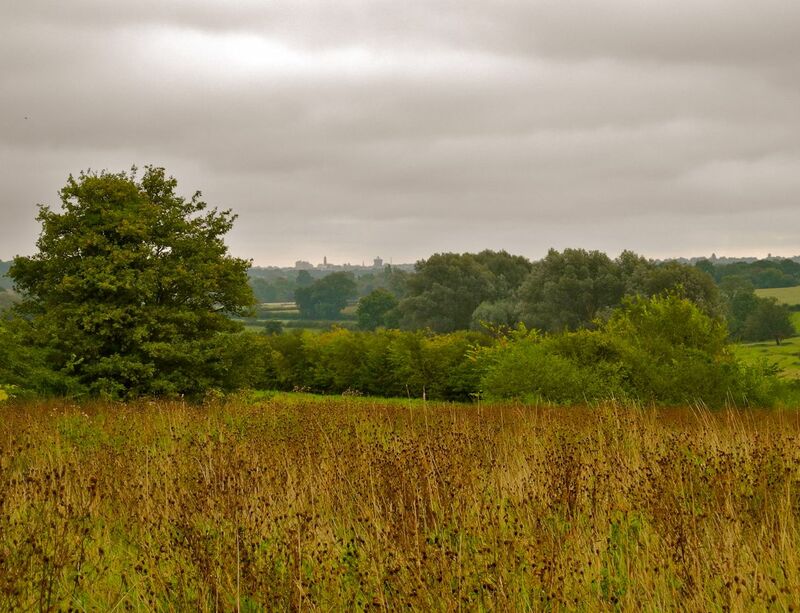 Colchester town centre, and some of the principal buildings within the Roman town wall, such as Jumbo and the tower of the Town Hall, can be seen in the distance from the site …’. The images show Frank Lockwood explaining the site to the young people; the young people excavating under Frank’s supervision; John Mallinson identifying a fragment of patterned pottery; John showing the young people the model of a Roman villa which he has made, and which is similar to the villa which the CAG are excavating on the site; and a view from the site with Colchester town centre in the distance. 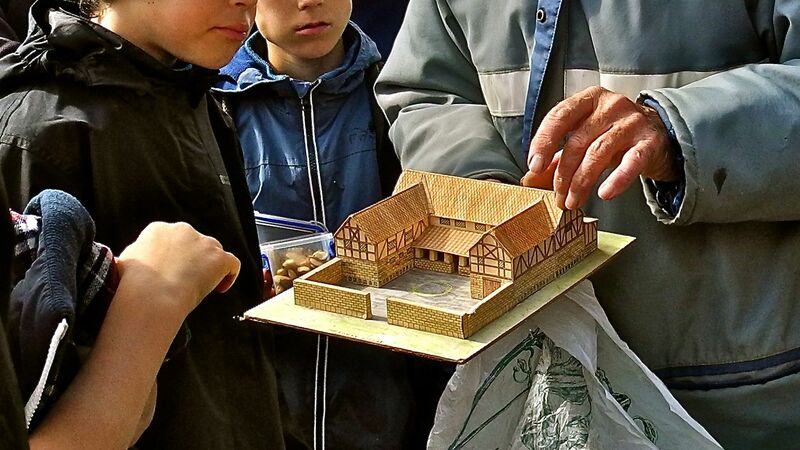 If you are aged under 17 and interested in joining the Young Archaeologists’ Club in Colchester, then please contact Barbara Butler on 07808 9 6 8 7 6 6 or at barbara[at]peterbutlerdesign.co.uk or Barbara Butler, Colchester YAC Branch, c/o the Colchester Archaeological Trust, Roman Circus House, Roman Circus Walk, Colchester, Essex CO2 7GZ.